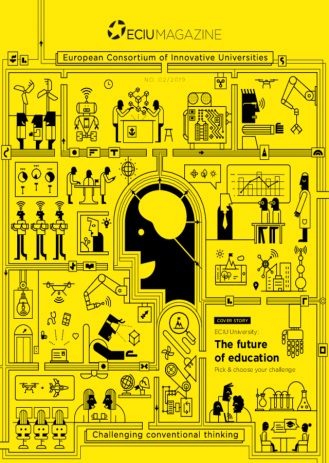 This magazine highlights some of ECIU's plans and visions for the university of the future. ECIU is the leading international consortium of research intensive universities, with collective emphasis on innovation, creativity and societal impact, driving the development of a knowledge-based economy. ECIU Magazine is a publication of the ECIU PR Group and was created in collaboration with U-Today, the independent journalistic medium at the University of Twente.